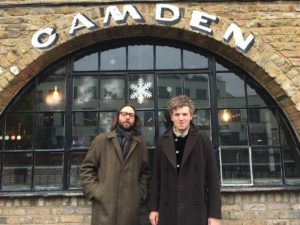 Members of Noah & The Whale and Mumford and Sons have teamed up with Mind in Camden to release a Christmas single. All proceeds of this project will be donated to MiC to continue their support for people struggling with their mental health. 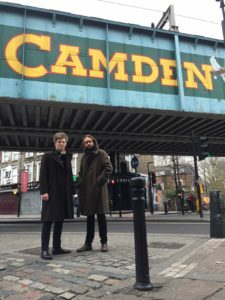 The Heathen And The Holy is the seasonal side project of Tom Hobden and Fred Abbott. Tom and Fred are best known as members of platinum selling folk-rock legends Noah And The Whale. Starting in 2014 they have made it their mission to release a Christmas song. Their desire is to use this project to make a positive contribution at a time of year that many people struggle through. 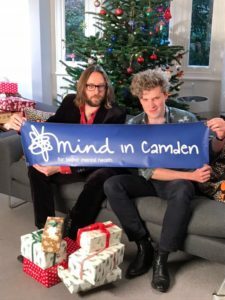 This year they have decided to attach the project to Mind in Camden, both having lived in Camden, and having been inspired by Mind in Camden’s work – especially by the fact that the Phoenix Wellbeing and Recovery Service will be open and serving Christmas lunch on Christmas day! 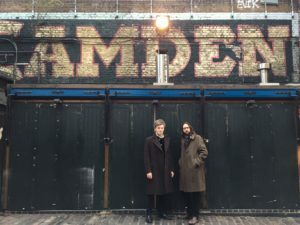 You can watch the music video for this year’s song, ‘When Christmas Comes Around’, here, or download it from iTunes (all proceeds to Mind in Camden) here.